You were always one of those curious kids who opened every cabinet, peeked behind every door, and never ceased to ask "why" when given an explanation. Today, you bring your personal style to every experience. You live life to discover. You are passionate about your neighborhood, always looking to explore the places one wouldn’t find in a travel guide. If this sounds like you, you’re in the right place. You’ve got authentic style, natural curiosity and a warm way with people. 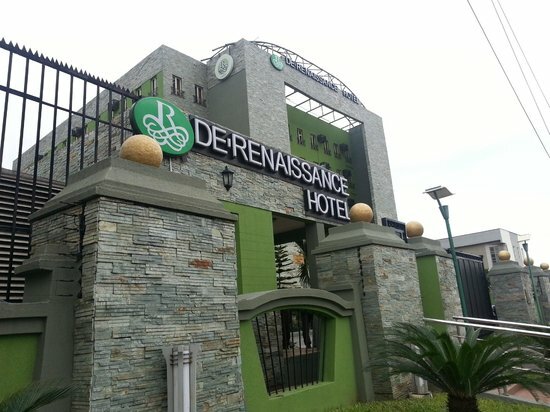 Renaissance is not just a place to spend the night, it's a place to discover, a place in the world with style like yours. Follow all company safety and security policies and procedures; and report accidents, injuries, and unsafe work conditions to manager. Follow all company policies and procedures, ensure uniform and personal appearance are clean and professional, maintain confidentiality of proprietary information, and protect company assets. Welcome and acknowledge all guests according to company standards, anticipate and address guests' service needs, and thank guests with genuine appreciation. Speak with others using clear and professional language. Develop and maintain positive working relationships with others, and support team to reach common goals. Comply with quality assurance expectations and standards. Reach, grasp, turn, manipulate, move, lift, carry, push, pull, and place objects weighing less than or equal to 50 pounds. Visually inspect tools, equipment, or machines. Perform other reasonable job duties as requested by Supervisors. Marriott International is an equal opportunity employer committed to hiring a diverse workforce and sustaining an inclusive culture. Marriott International does not discriminate on the basis of disability, veteran status or any other basis protected under federal, state or local laws.